Resources & News Are All Fiberglass Reinforced Plastic (FRP) Manufacturers the Same? 1.​​ Qualifications How long has the manufacturer been in business? How long have they been making FRP tanks? Is it their core product? Can they produce a variety of diameter and volume sizes and different shapes? Check out their warranty. How well do they support their product in the field? Are they isolated to a single market or product application? Do they sell nationally, internationally? It’s hard to compete with the Design Tanks record and reputation. Building FRP tanks for over 50 years, it’s ALL we do. Our production capabilities are practically endless. We’ve built tanks for capacities that range from 50 gallons to 50,000, from 2’ to 14’ diameters, round and sectionalized tanks to rectangular. We welcome challenging projects and service markets from water and wastewater to mining, food, energy, and agriculture. Our tanks are working for customers across the U.S. and internationally. 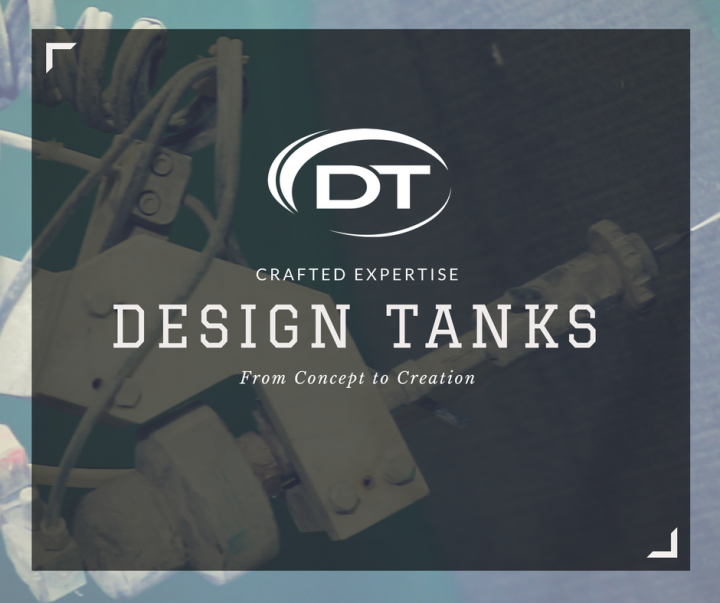 With Design Tanks, you can be confident that we’ll do everything possible to understand your specific storage needs, quote the appropriate tank, and build it to your specifications. 2. Manufacturing to Specs How vigorous is their sales discovery process? Are their salespeople asking for specifications? Is there an on-site engineering staff? Do their tanks meet industrial or engineering standards when appropriate? Are you asked whether the wind and seismic considerations are important? What about liquid contents, operating temperatures, and applications? Do you get itemized production drawings prior to manufacturing for review and approval? It begins with our sales team. They hone in on your specific needs, asking questions that matter. Think we haven’t done it before? Think again. With 50-plus years in the custom FRP tank-manufacturing business, we’ve probably been down that road before. Our in-house engineering staff is dedicated to product engineering, ensuring that your tank meets appropriate requirements including ASTM standards, FDA compliance, NSF-61, and RTP-1 design guidelines. And, with our experience, we can provide solutions to not only meet your specifications but try to lower your overall costs. It’s the added value we bring to the table. 3. Materials Does the manufacturer rely on general-purpose resins, or do they build with a wide variety of resin types? Do they subject incoming resins to quality control (QC) testing? Do they use a variety of glass options in their design and manufacturing? What inventory control practices are used to ensure a resin’s quality stays intact? Forget general-purpose resins, Design Tanks uses only premium resins suitable for the intended application. We work closely with major suppliers and have access to premium and specialty resins to meet any type of chemical requirements possible with FRP. We don’t take shortcuts, but instead test every incoming resin against its stated specification, utilize an inventory control practice to ensure resins don’t go out of date and store them in an environmentally controlled room. When it comes to glass, Design Tanks uses a variety of glass types depending on a tank’s design and application. It too is carefully controlled to ensure it is at peak performance during the build process. 4. Manufacturing Processes Do they utilize written procedures for production? Are in-process QC checks in place to detect and correct potential product defects early? What automation capabilities, like robotics, are used to reduce human error and improve consistency and factory throughput? Do they implement process improvements to save you time or money? Even if a manufacturer has a vigorous sales discovery process, and utilizes premium materials, the manufacturing process is where the rubber meets the road. The Design Tanks production team follows written procedures on the plant floor that keep your tank moving, with a QC process to help identify any problems early. Adoption of technology, including robotics, creates efficiencies, decreases human error, and enhances quality. We innovate, but we won’t change what works well until new ideas are proven. We meet manufacturing standards, and then some, maintaining at least a 10:1 safety factor.